South Africa’s Department of Education adopted regulations in 2013 stipulating that all schools made of asbestos had to be replaced by 29 November 2016. The Gauteng education department (GDE), which is responsible for the province’s school infrastructure, identified 29 asbestos schools for replacement, but not one of them was replaced by the deadline. What’s more, the 29 schools currently earmarked for replacement are just a small part of the problem. According to the GDE’s own information, there are more than 200 schools in the province with asbestos structures. But the list of asbestos schools keeps changing, and it is unclear if it is complete, and if the asbestos structures are in good condition. Asbestos was banned in South Africa in 2008 because it is known to cause cancer. We investigated how many schools are made entirely or partially of asbestos. 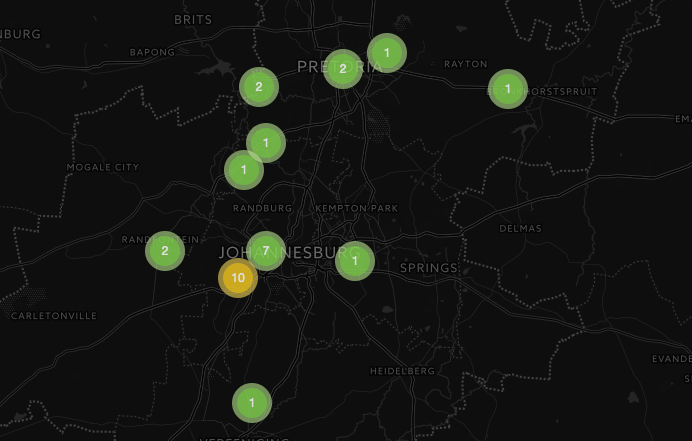 View the full interactive investigation here. 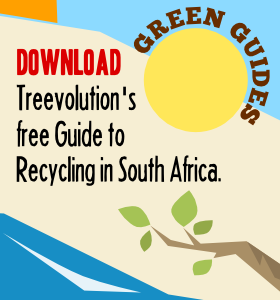 It’s been in the pipeline for a while but now, after more than a little procrastination and a lot of research, Treevolution’s Guide to Recycling in South Africa is here. This short booklet is intended to be an easy-to-use guide to the basics of recycling and is full of useful tips, ideas and contacts for getting everyone recycling. This is the first edition of the guide and while we have done our best to ensure it is accurate, useful, and up to date, there is undoubtedly room for improvement. So, if you spot an error or you have a suggestion for future editions please do let us know. You can do that by sending us an email on guides@treevolution.co.za or simply send us a message on Twitter or Facebook. The recycling guide is free to download from here though we do ask you to give us a little hand by spreading the word. The download page includes some links for sharing the guide using social networks and you could also just tell your friends and colleagues about it the traditional way: word of mouth. It seems that green-themed and organic markets are popping up everywhere these days. We’ve written about some of them previously and now there is another one to add to the list. 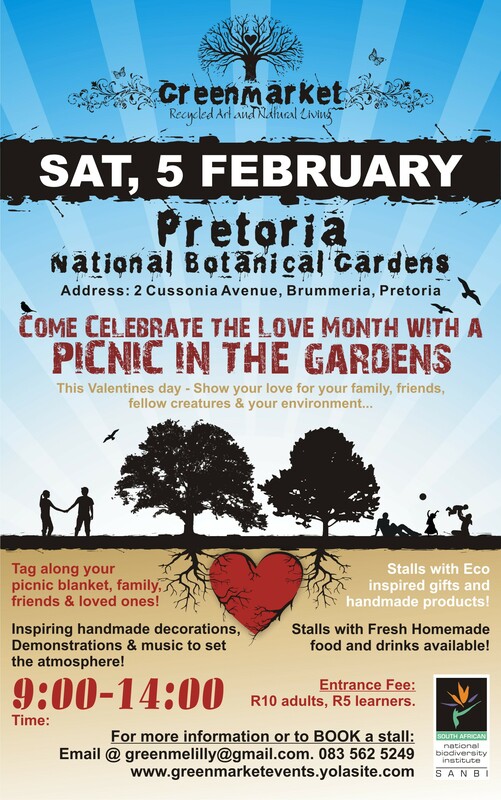 The setting for this one is perfect: The Pretoria National Botanical Gardens. The next market will be held on 5 February from 9am – 4pm. This new green/organic market has stalls specialising in organic goods, antiques, second-hand items and products made out of recycled goods. 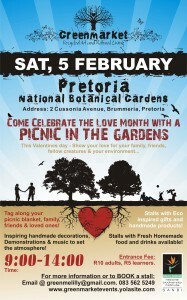 Entrance to the gardens for market visitors will cost R10 per adult and R5 for the little ones. We spotted this when we ventured out north to the new BluBird wholefood market. 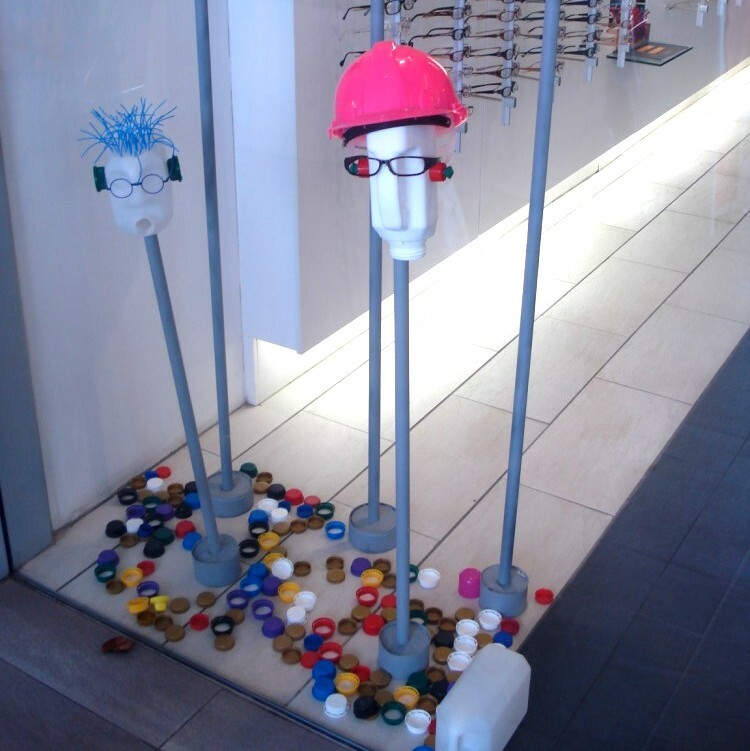 The shop window display at this optometrist made clever use of old plastic bottles and caps to create a unique display for their spectacles. Sometimes it’s not just about recycling old bottles and cans into new products but it’s also about re-using old materials to create new ideas. Very clever. Have you seen a good re-use of old material recently? Send us a picture and we’ll post it here. We’ve all got them: Old cellphones with dead batteries and archaic chargers piling up in bottom drawers and in cupboards. If you’re like us then you probably shudder at the thought of simply tossing them out with regular household waste. And so you should. 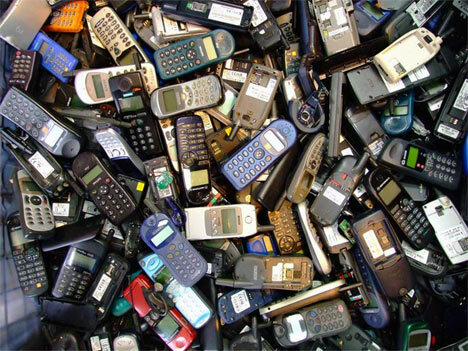 Cellphones are electronic waste and not only can many of the materials be recycled for future use but they also pose a potential chemical hazard when simply dumped into landfill sites. So, if you’re in Joburg or Cape Town this weekend why not go along to the Rocking the Daisies (Cape Town) or Rocking the Gardens (JHB) concerts and drag all your old cellphones along? 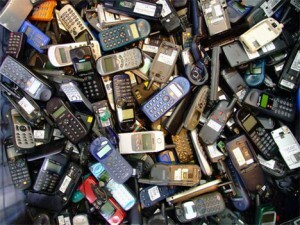 Nokia, a sponsor of the concerts, will have recycling bins available at the venues ready to receive all your old mobile phones. They don’t have to be Nokia phones, any make of mobile phone will be accepted and Nokia has also committed to planting a tree for every 20 phones collected. Keeping your home sparkling and clean could be damaging the world around you. Each day we pour untold amounts of chemical cleaners and solvents down the drain adding to the growing toxicity of our city water. The good news is that there are many things you can do to reduce your impact on the environment next time you’re cleaning. Bicarbonate of soda (baking soda), for example, makes an easy all purpose cleaner which can be used to clean kitchen and bathroom surfaces. So too does ordinary white vinegar. Bicarbonate of soda and vinegar together form a mildly explosive mix and can be used effectively to clear blocked kitchen and bathroom drains rather than pouring litres of toxic drain cleaners down them. The three-bin system for collection our household recyclable materials. Regular readers of Treevolution may know that towards the end of 2007 we signed up with Resolution Recycling to collect recyclable materials from out home every two weeks. 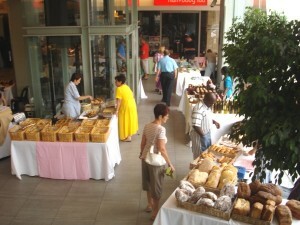 At R360/year it was a good deal for us, especially as they recycled everything in an environmentally-friendly way. Unfortunately it seems it wasn’t such a good deal for Resolution and they filed for liquidation in June this year. The result was that we had a 40L dustbin full of recyclable materials with nowhere to go. And over the next two months the collection grew rapidly. Despite wanting to recycle we had no easy way of doing it. Until I spotted a Resolution Recycling bin in our neighbourhood with an Ecomonkey sticker on it. We’d heard of Ecomonkey but as far as we knew they didn’t operate in our area. I phoned them that day and it turned out that they had started a collection in our area on that very day so we signed up. Ecomonkey also collects standard recyclables (glass, paper, plastic and metals) every two weeks but the service costs more than Resolution’s did but at R79/month it’s not unaffordable. Unlike Resolution, Ecomonkey encourages members to separate out the individual material into different bags before put out for collection. You don’t have to, apparently, but we do, using our three-bin system down the side of the house. Ecomonkey does appear to be expanding fairly quickly and adding new collection areas to its service so it is worth taking a look to see if they cover your area. We’ve now been signed up for a month and so far everything has worked out perfectly. D= Dispose of waste responsibly. This came in an email from Friends of the Earth UK and is so simple and sensible it just has to be shared.